Durability. Strength. Unsurpassed Drying Ability. The Absorber is the perfect tool for drying everything. Made of a unique material called PVA (Poly Vinyl Alcohol), The Absorber is vastly superior to a terrycloth towel and leather chamois. A uniform, sponge-like pore structure enhances capillary action, giving The Absorber drying capabilities no other product can match. 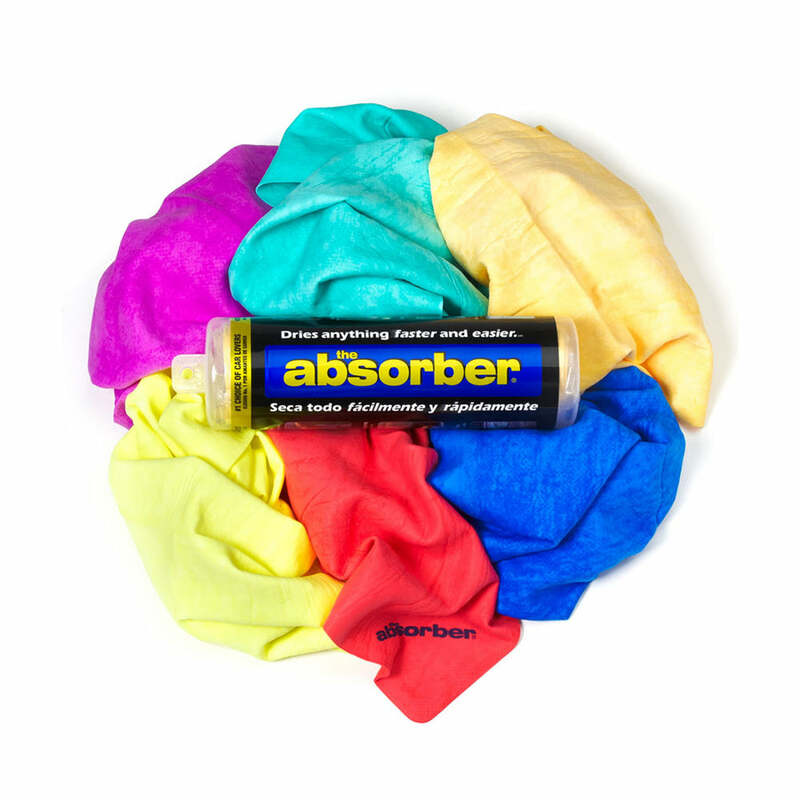 Besides being the best drying tool for cars and automobiles in the market, The Absorber has endless uses that include: cooling your skin in the summer or after a workout, and drying your dog! With proper care The Absorber lasts for years and can be stored moist and ready to use in its handy tube. Product dimensions: 27 in. x 17in. If you allow your Absorber to air dry, it will become stiff – but don’t worry! Simply rehydrate it in warm water and your Absorber will spring back to life and be ready to use. Many Olympic swimmers and divers use The Absorber to dry off between heats. If you haven't tried this product yet, you've been drying your car the hard way. I've never seen a material that dries anything so well. I will never buy anything other than this. Take care of it and it lasts forever. Bought this to dry off my dogs and it works great. Not sure how it absorbs as much water as it does. It dries my dogs twice as fast as a regular towel and I no longer have to use my towels! Easy to rinse off and reuse. THERE is nothing finer than a freshly washed car when it is FINISHED with the ABSORBER. No spots on the glass - No streaks on the finish - Leaves the car show-room shiny! I've had my Absorber for 12 years. I primarily use it to dry my car and it does a terrific job. You'll find a myriad of uses for it. I just got through sopping up a significant flood in the bathroom and laundry room and was reminded how I would never want to be without the Absorber. It did a better job than an army of towels could do and in a relatively short time because of its high capacity absorbency.